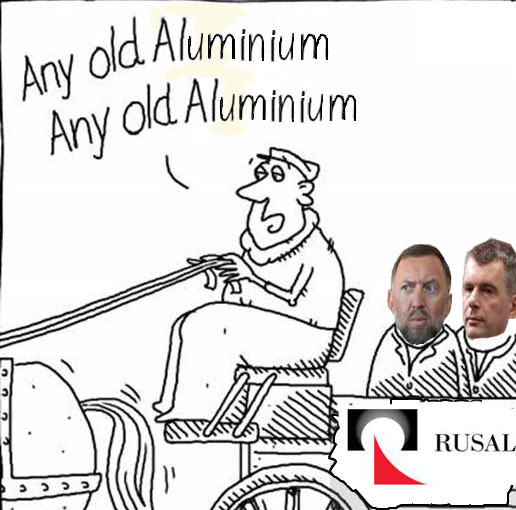 RUSAL IS FOR SALE AS MIKHAIL PROKHOROV TRIES TO FIND A BUYER — WILL OLEG DERIPASKA LOSE RUSSIAN ALUMINIUM TO VICTOR VEKSELBERG AFTER A DECADE OF VALUE DESTRUCTION? 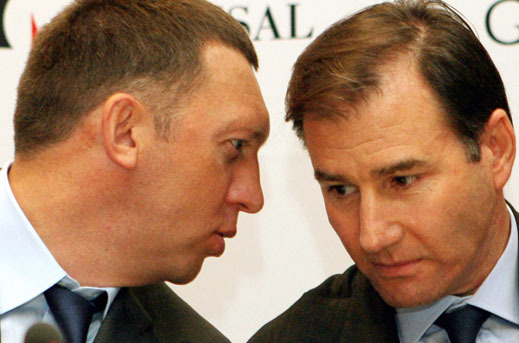 When Mikhail Prokhorov (lead image, right) announced last week that he wants to sell his 17.02% of United Company Rusal, the Russian state aluminium monopoly, he was asking the audience to believe the company controlled by Oleg Deripaska (left) is worth much more than it is. The market didn’t laugh or sing along. It did move more than the usual number of Rusal shares traded daily – 2.5 million – but the price went down by 4%. This means the market isn’t betting on Prokhorov to get his price. Following its six and a half-year history on the Hong Kong Stock Exchange, Rusal’s current share price is HK$2.48; this makes a market capitalization of HK$37.7 billion (US$4.9 billion). Prokhorov’s stake is worth $834 million. At peak in 2011, Prokhorov counted himself four times richer with a stake worth US$3.4 billion. On July 4, Dmitry Razumov, chief executive of Onexim, didn’t deny Prokhorov wants to make cash out of the metal company. He indicated instead that Prokhorov’s priority for assets in Russia doesn’t include Rusal. “Our assets are constantly in a state of transition,” “Razumov responded to a Moscow newspaper claiming Prokhorov has ordered a fire-sale of everything he owns in Russia. 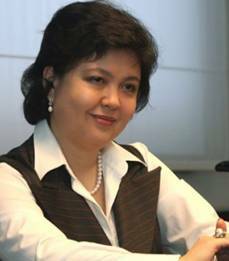 “We are always in the process of negotiations for sales and acquisitions and attracting new partners. Many of these negotiations continue over the course of years. It would not be right to conclude that we are ‘selling off our Russian assets.’ No such decision has been made. Onexim Group was, is, and will remain a major player in the Russian market, maintaining a strategic interest in investments here in Russia. First and foremost among these involves the financial sector, where we plan to devote particular attention to our banking institutions Renaissance Credit, Renaissance Capital, IFC Bank and the Soglassye insurance company. The next largest shareholder, the Siberian Ural Aluminium (SUAL) partners Victor Vekselberg and Len Blavatnik, hold 15.8%. In September it will be a full decade since a decision by then-Prime Minister Vladimir Putin forced Vekselberg to abandon his plan to list SUAL on the London Stock Exchange. Instead, he was obliged to accept a merger with Deripaska, and a minority stake in Rusal. For details, read this. The SUAL partners’ condition was that Deripaska had to arrange an international stock exchange listing for the combined company. Once this fixed a market value for the SUAL stake, Vekselberg and Blavatnik held the option to stay in or sell out. Glencore has been saying for almost as long as Prokhorov that it would sell out if it could get its price; click to read. Statements of sale intention don’t mean there’s a genuine market in Rusal shares. Investigations of unusual trading movements on the Hong Kong Stock Exchange indicate the company regularly uses its funds to boost the share price upwards or stop steep falls. For details of how this is done after the Hong Kong lunch hour, read this. The Russian banks – Sberbank and VTB – also are reported to enforce loan conditions requiring the market value of Rusal shares pledged as security for loans to stay above target levels without triggering margin calls, which are more expensive than the price of share support. The 10% free float that is reported by Rusal in its shareholding structure isn’t quite free or floating, according to analysts following Rusal. If there were a genuine market in Rusal shares, they point out it would be theoretically possible for SUAL to buy out Prokhorov, Glencore, and the free float, in order to take majority control of the shares. But that can only happen, Rusal sources say, if the Kremlin – President Putin — says so. Deripaska is reported by the sources as fearful, less of losing Putin’s support than of coping with too much of it. The tightness of the Kremlin leash has been growing, a Rusal insider says. executive of Deripaska’s asset holding, Basic Element; and she is still Deripaska’s board representative at the Austrian construction company, Strabag . In better times, before the downturns of the global aluminium price in 2011 and in 2014, Razumov, Vekselberg and others warned that Deripaska’s control was destroying Rusal’s value. 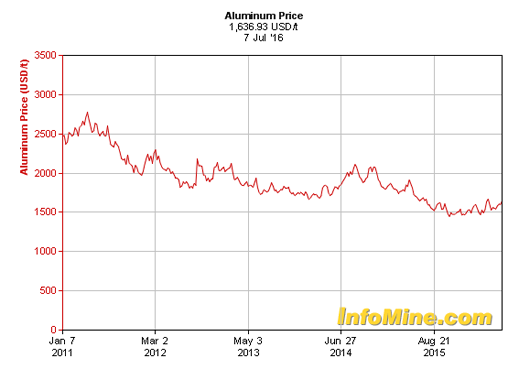 Institutional analysts covering the company have been deterred from measuring what they privately call the “Deripaska discount” – that’s when the line of Rusal’s share price dives below that of the metal price, and also below its US and Chinese peers, Alcoa and Chalco, as the chart illustrates. The reason Deripaska hasn’t been ousted, according to company executives and shareholders, is that Deripaska’s 48.13% shareholding is controlled by the state. Also, the concealed owners of special shares and the circumstances in which they are voted in Deripaska’s defence are murky but also not under his control. Click to read. They add up to the Moscow consensus right now that Deripaska cannot borrow to buy Prokhorov out; that the only buyer of big blocks of Rusal shares is a state bank; and no state banker wants to give Prokhorov cash for achieving the same managerial control over Rusal the state already exercises, with Prokhorov locked in at no cost to the state. The start of the Ukraine war, the collapse of the oil price, then rouble devaluation enhanced Rusal’s cost to revenue balance. But its indebtedness and loss of value in international terms squeezed asset value to $14.9 billion, while liabilities stuck at $12.6 billion, so the gap was just $2.3 billion. This asset-to-liability balance continues to narrow. According to the latest financial report for the first quarter of 2016, issued on May 13, assets are down to $13.2 billion; liabilities are at $11.3 billion; the gap has shrunk to $1.9 billion. The narrower this gap, the more powerful the state banks have become, and the more of a liability Deripaska himself becomes as control shareholder and chief executive. Weak though Russian commodity stock values may be under the external pressures, Deripaska continues to lead Rusal’s market value far below that of the Russian stock exchange index. 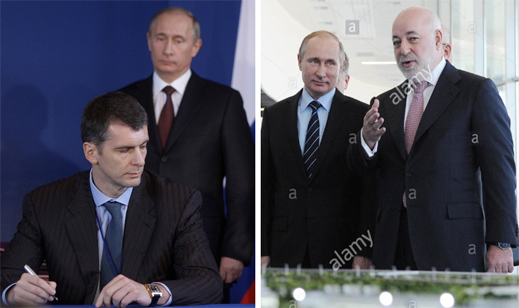 In theory, Russian investment bankers point out, if Vekselberg and Blavatnik bought out Prokhorov and Glencore now, they would have a combined 41.57%. If to this they acquired the remaining 10% free-float, they would have 51.61%, and enough votes to remove Deripaska. Vekselberg and Blavatnik, who have ample financial capacity to make the takeover, aren’t commenting. Even at a 10% premium to the current $4.9 billion market price for Rusal – say, $5.3 billion – the SUAL partners would be able to stump up the $2 billion required. They could offer even more, if they were then permitted by the Kremlin to sell off Rusal’s 28% stake in Norilsk Nickel. That would reduce the company’s liabilities, lift its stand-alone dividends, and revive the share price. But just as it was in September 2006, the decision-making power remains with Putin. Unless he gives thumbs down for Deripaska, thumbs up for Vekselberg and Blavatnik, there will be no takeover. Prokhorov and Razumov had attempted to win Putin’s support for a similar transaction in December 2010; they failed to get Putin’s thumbs to move in their direction. Sberbank was asked whether the terms of its current Rusal loans give it the right to veto the sale and purchase of large Rusal shareholdings, or a restructuring of shareholding and management. The bank declines to say.